“Unsinkable” Titanic sank in 1912 with 1,500 people on board. 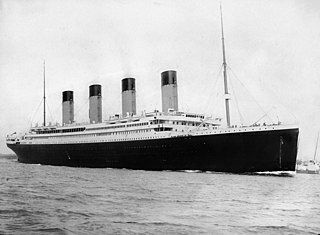 The luxury liner was on its maiden voyage from England to New York City when it hit an iceberg and sank three hours later. The ship did not provide enough lifeboats for all the crew and passengers. Over 700 people were rescued by the Carpathia when it reached the site. In 1985 Dr. Robert Ballard and his crew located the remains of the Titanic and photographed it. Idea: Debate whether the Titanic should be raised or not. Students may want to read Robert Ballard’s Exploring the Titanic, published in 1988. Children could read The Titanic: An Interactive History Adventure, by Bob Temple. They can also participate in a Titanic simulation at: Titanic.